So the growth spurt occurs …. 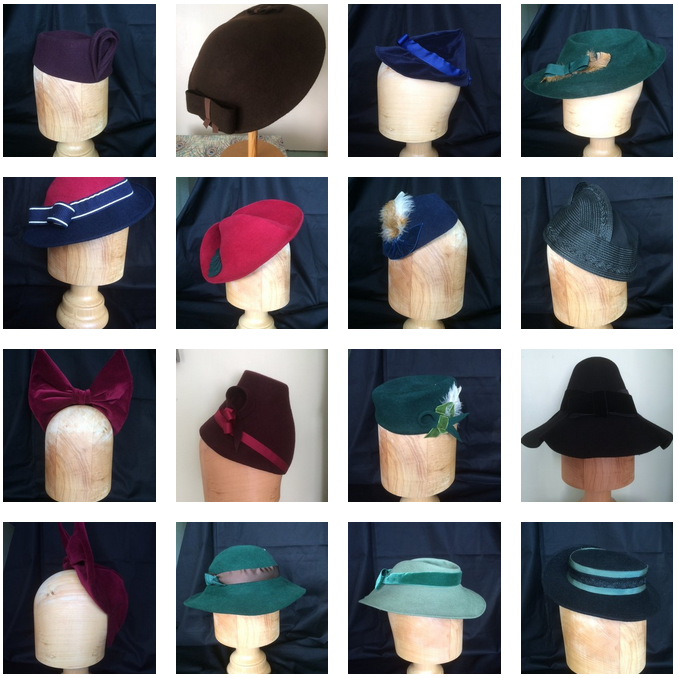 The above hats were just some of the ones created using custom made hat block shapes and free form millinery for last year and this years show events. The previous years had managed to yield enough in sales for me to order ten custom designed hat blocks from Guy Morse-Brown the wooden hat block maker, who had managed to recreate shapes from some of the original hats that I had in my collection.